This program is designed for freshers as well as experienced professionals. You get a complete exposure to the Android development and you can choose to be an entrepreneur and lead the industry with your own apps. Register before 03 May 2019 for only RM3,000 per person. Register before 09 Aug 2019 for only RM3,000 per person. This course will give you all the knowledge needed to work with the Android platform & Android programming. This android course will enable you to develop android app and register on Google Play store to show the world your creativity. Our Android training course content is designed with the consideration of current industry Job requirements to provide in-depth knowledge on Android App development training. 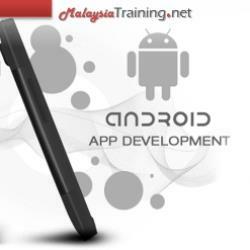 Before joining for Android course, student should already have knowledge on Java. It will help them in understanding.